Rachelle L’Ecuyer grew up right near the Delmar Loop, so becoming its first-ever executive director earlier this month felt a lot like coming home. Still, she’s been looking at the area with fresh eyes. Legendary musician Chuck Berry, the “poet laureate” of rock 'n roll, died Saturday, at his home in St. Charles. He left behind him a changed world of music, culture, friendship and a dedication to the St. Louis region that continued until the very end. 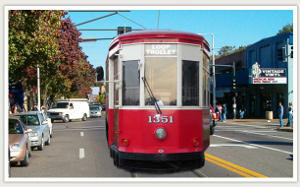 All major construction on the Delmar Loop Trolley has been completed. Trolley construction began March 2015. The final path of the trolley circles more than two miles from the western end of The Loop and through Forest Park near the Missouri History Museum. St. Louis’ newest concert venue opens tonight in the Delmar Loop neighborhood. 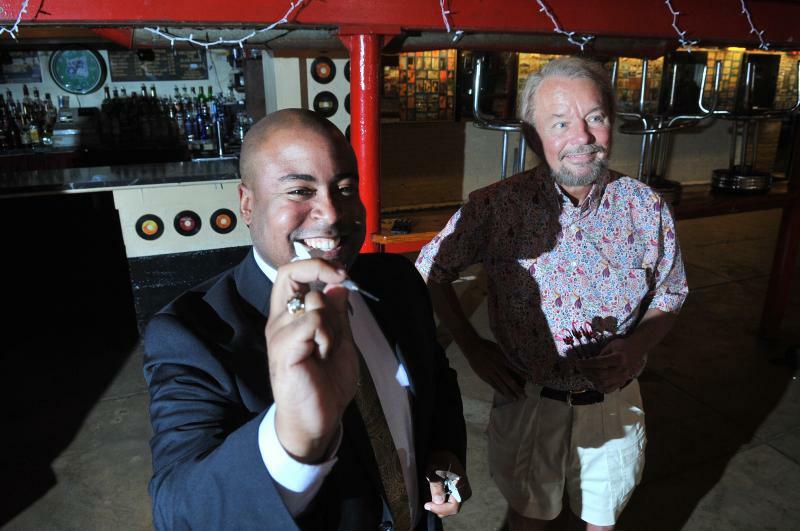 With Delmar Hall, Joe Edwards and Pat Hagin, co-owners of the Pageant concert hall next door, continue their push to make the neighborhood an entertainment hub. 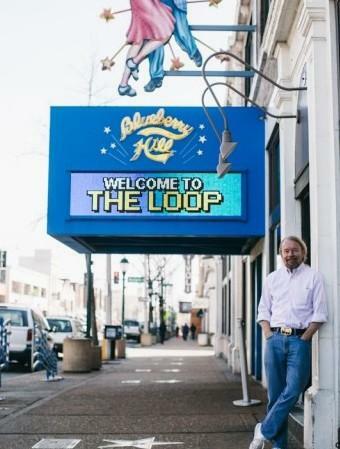 “This is the live music corridor, center, of St. Louis and this just cements that,” Edwards said. Delmar Hall will seat up to 800 people and focus on concerts, comedy and private business events. Edwards said up to 25 percent of the acts will be local performers with national touring groups making up the remaining shows. The opening weekend features Stir, Jay Farrar, and Hippie Sabotage. Commuters who use Delmar Boulevard to get between University City and St. Louis will need to temporarily find an alternate route starting Monday. 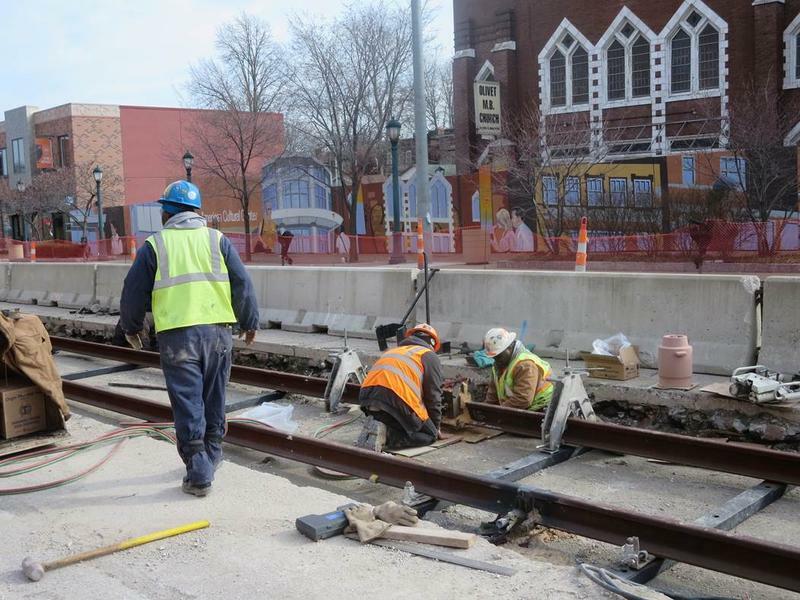 The intersection of Delmar Boulevard and Kingsland Avenue on the western edge of Delmar Loop will be closed for the next three weeks while contractors put in a switch for the Loop Trolley. Will the Loop Trolley ease Delmar congestion and parking? Another busy intersection in the Delmar Loop will be shut down starting Monday for Loop Trolley construction. More than 85 percent of the track for the project has been installed, but traffic won’t be allowed at Skinker and Delmar boulevards for at least the next 12 days. Count Joe Edwards among the Delmar Loop business owners who are salivating at the prospect of hundreds of students living near their businesses. Edwards, the owner of Loop staples Blueberry Hill and the Moonrise Hotel, said the more than 400 Washington University students who will live in the soon-to-be-finished dorm rooms will be a boon to local businesses. He said he’s hopeful all those students will also keep business lively at the Peacock Diner, a 24-hour restaurant he owns that will serve up spiked milkshakes and a variety of pies. 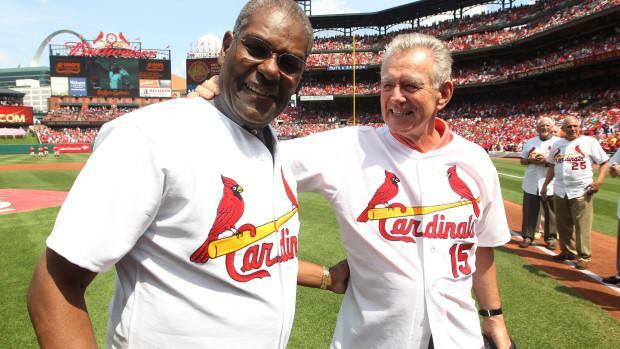 Three new stars are joining the St. Louis Walk of Fame. Adding to the 140 famous St. Louisans already installed on Delmar Blvd. in the Loop will be 19th-century U.S. Sen. Thomas Hart Benton, a champion of manifest destiny; former Cardinal and longtime broadcaster Tim McCarver; as well as Lee Falk, who’s famous for his contributions to comics and theater. Preston Humphrey Jr. runs a dart league at Blueberry Hill on Wednesday nights, the same night of the week Chuck Berry plays his regular gig there. Humphrey has never thrown darts with the rock & roll legend, though Berry did watch him represent the league once. 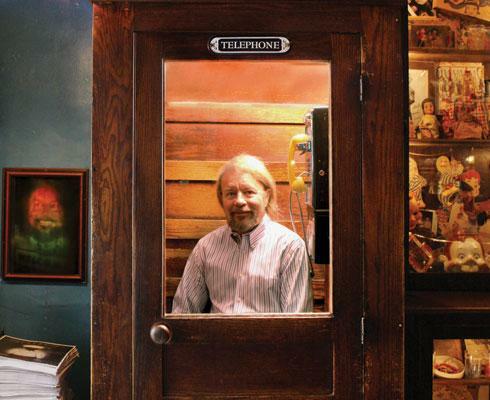 One night Joe Edwards, owner of Blueberry Hill and manager of Chuck Berry, brought the star down to the pub’s basement Elvis Room, where Humphrey was hosting the dart league. The rooms upstairs were crowded, and Berry was simply looking for a place to eat his dinner in peace. How Well Do You Know The St. Louis Walk Of Fame Inductees? 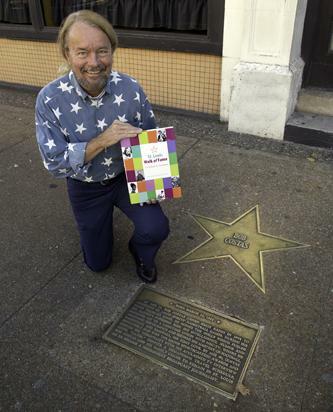 An updated version of a book profiling the 140 inductees to the St. Louis Walk of Fame is now available at Blueberry Hill and area bookstores. The original version of the book only included the first 50 inductees. The founder of the St. Louis Walk of Fame, Joe Edwards, wrote the foreword to the book, as well as many of the early profiles. 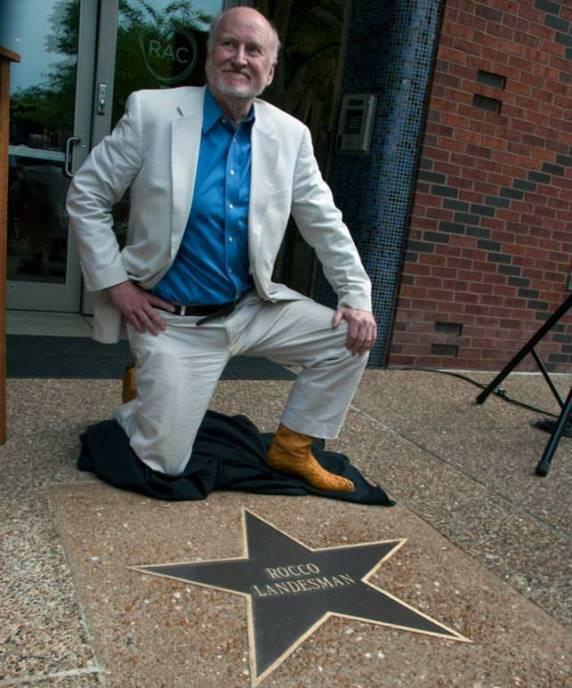 He started the Walk of Fame, he said, to "draw attention to the great St. Louisans who have affected our culture on a national level." This article first appeared in the St. Louis Beacon. - If you don’t know who Joe Edwards is, you probably haven’t lived in St. Louis for long. Owner of Blueberry Hill; friend of Chuck Berry; driving force behind local standbys like the Pageant, the Pin-Up Bowl, the Flamingo Bowl and the Moonrise Hotel (all of which make him unofficial mayor of the Delmar Loop); connoisseur of Hawaiian shirts: These things help describe Joe Edwards. In our monthly Sound Bites segment in partnership with Sauce Magazine, host Steve Potter discussed the ongoing growth of the restaurant scene in the Delmar Loop with Joe Edwards, the owner of Blueberry Hill and other Loop landmarks, Ryan Pinkston, co-owner of newcomer Three Kings Public House and Ligaya Figueras, executive editor of Sauce Magazine. 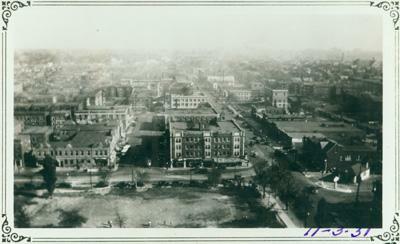 When Edward Gardner Lewis purchased the land that would become University City at the turn of the twentieth century, there wasn't much in the area beyond an amusement park, a race track and the loop of the trolley from which Delmar Loop gets its name. But he had a vision for a magazine empire and needed space to expand his printing presses. He built an iconic octagonal building for his headquarters overlooking the street car line and in view of the site of the upcoming 1904 World's Fair. From there, a bustling street of businesses grew, full of places to eat, shop and have a good time. Rocco Landesman has received numerous Tony awards as a Broadway producer and recently completed a three year term as Chair of the National Endowment for the Arts. He considered it a great honor to return to his home town for recognition on the St. Louis Walk of Fame. 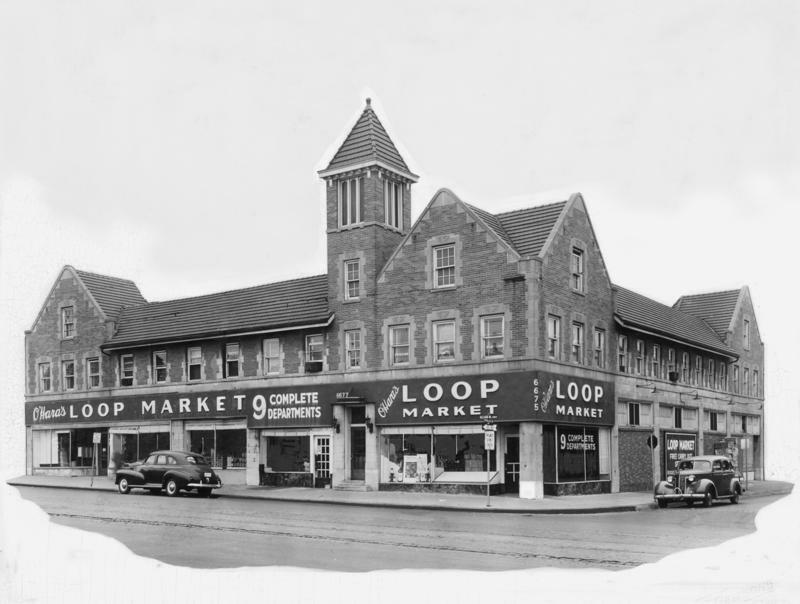 This article first appeared in the St. Louis Beacon: If names like Lasky, Rinaldi’s, Shanghai Café, the Varsity theater and Toddle House conjure up immediate memories of the University City Loop, M.M. Costantin has a book for you. Costantin, who has lived in the area near the Loop for more than 40 years, has seen the area at its worst and its best, from the days when she really didn’t feel it was safe to take a walk down Delmar to today, when long lines mark the success of venues like the Pageant theater and restaurants like Pi. 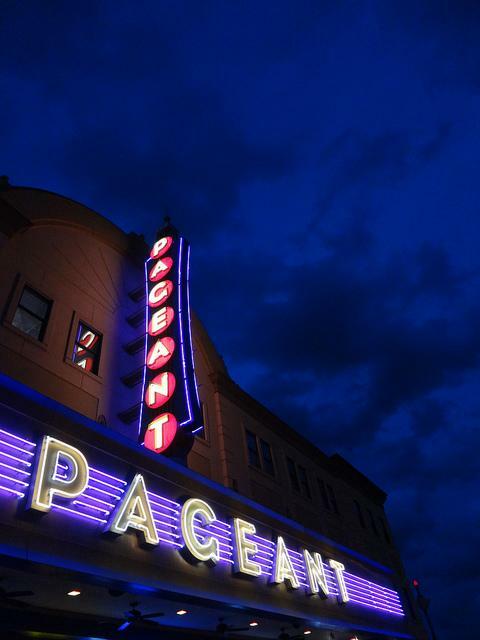 For the second year in a row, the Pageant in the Delmar Loop is among the top-5 concert venues in the world when it comes to ticket sales. Pollstar, an industry website, bases its rankings on reports from venues about the number of tickets sold. The Pageant was number 5 in 2011, with reported sales of 181,451 tickets. 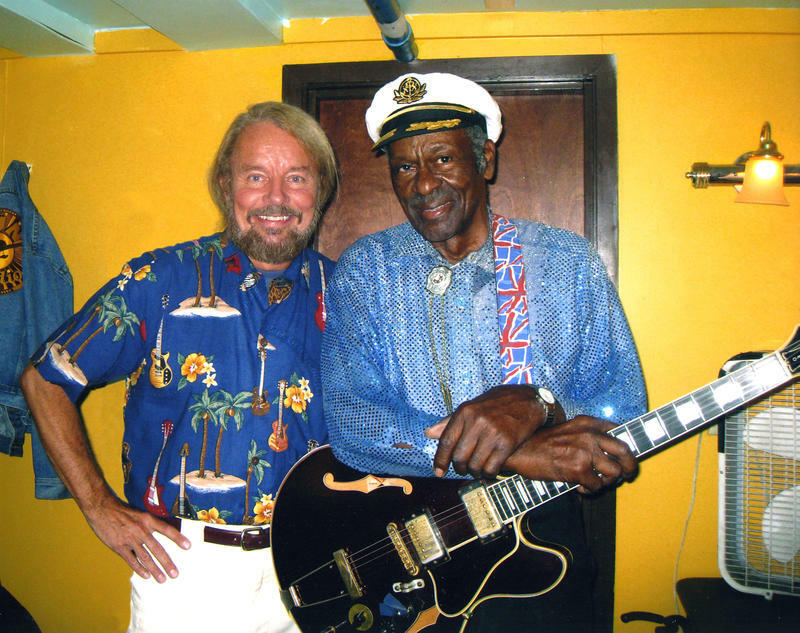 This article first appeared in the St. Louis Beacon, July 26, 2011 - On Friday, July 29, an eight-foot statue of rock 'n' roll legend Chuck Berry will be dedicated at 10 a.m. on the Delmar Loop just a bit west and across the street from Blueberry Hill. Joe Edwards, the driving force behind the statue, is of course the man who started Blueberry Hill in September 1972 -- back when the Loop was full of empty storefronts and seemingly devoid of any potential or future. Late last week, Joe Edwards announced that he’s stepping down as the Chairman of the Loop Special Business District after 30 years leading the board. He stopped by St. Louis on the Air today to chat about his decision and what’s next for the six-block district along Delmar that’s been designated “One of the 10 Great Streets in America” by the American Planning Association. 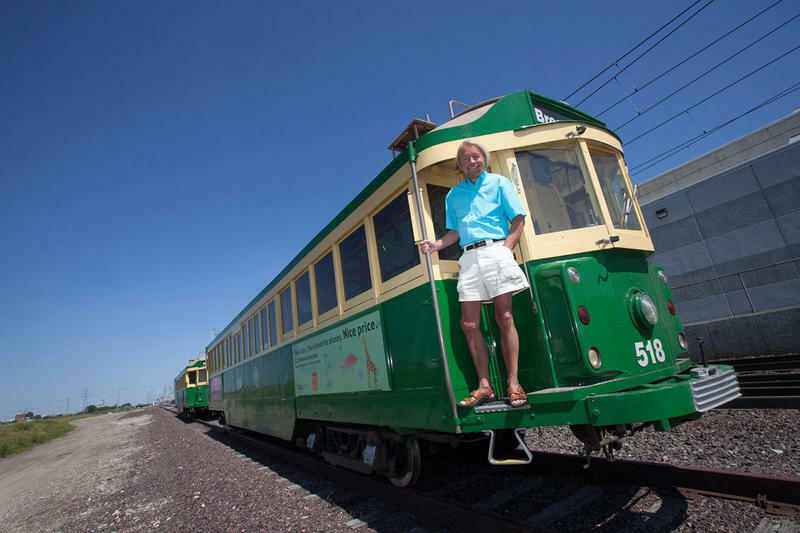 The Delmar Loop Trolley is making steady progress toward a goal of opening sometime in 2012. 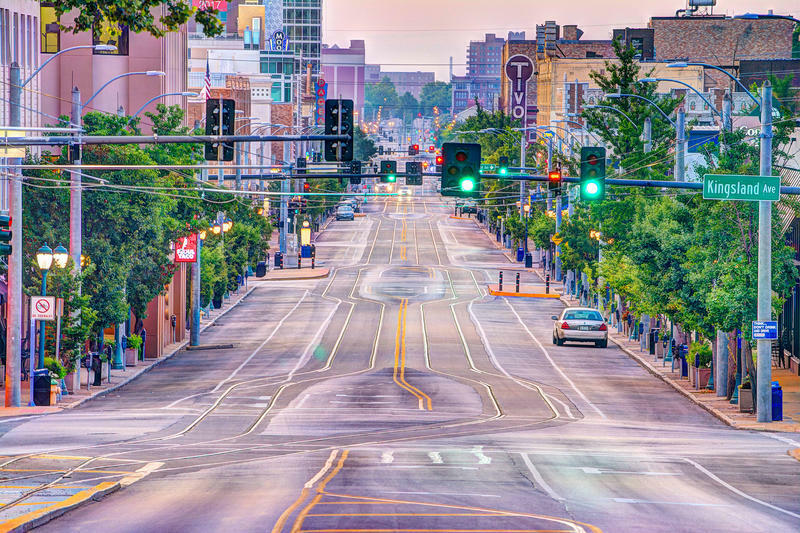 The project would span more than 2 miles and connect Forest Park to the Delmar Loop. 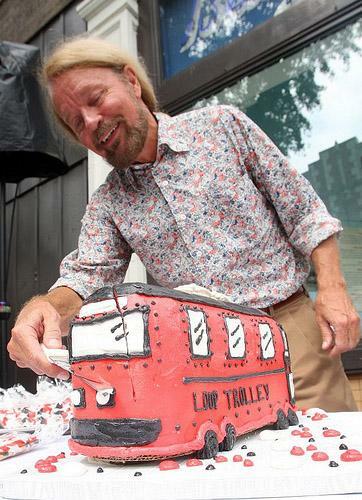 Joe Edwards, the man behind almost every project on the Delmar Loop, says the trolley should clear its environmental impact study next month. This article first appeared in the St. Louis Beacon, Dec. 3, 2008 - Hillary Clinton, Bill Richardson, Eric Holder, Robert Gates: Nice names for the Obama team. Strong names. Lots of experience and credibility. But, like many here in St Louis, I am concerned that the Obama transition team may not be looking in the direction of the Gateway City. So I am hoping this article starts the "What the Lou Can Do for You!" movement.